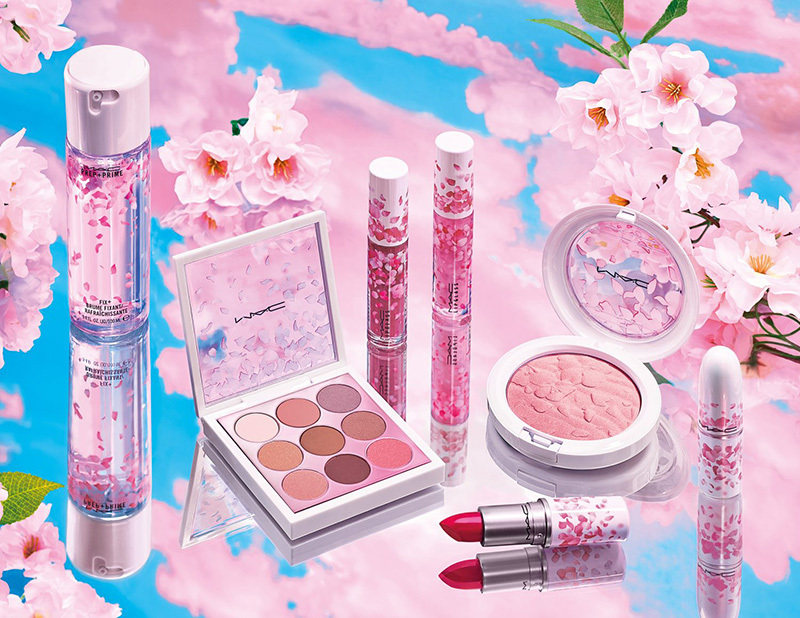 I’m jumping for joy to finally be able to see promo photos of MAC Boom, boom Bloom Spring 2019 Collection and not only. Swatches of each product from this collection have been released on social media and with just 2 days before the launch we have the complete information. While spring hasn’t yet sprung over here, over in Japan, it’s Sakura season. 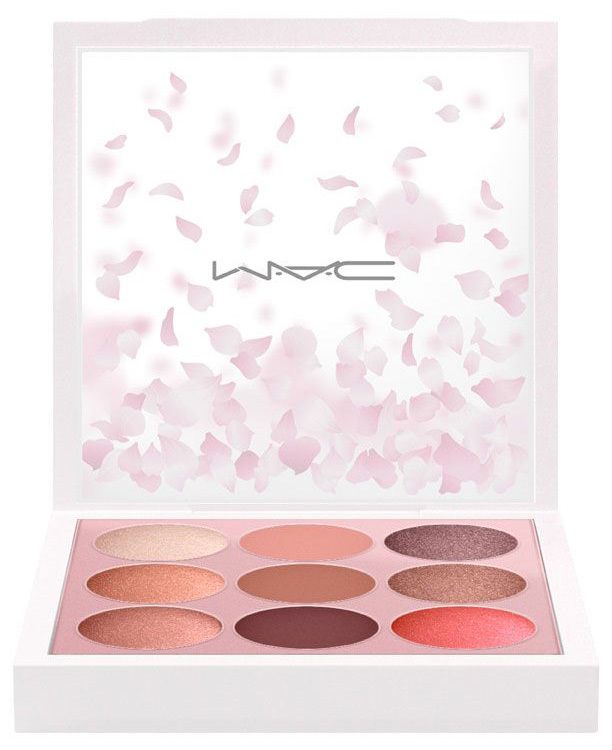 The blush-toned cherry blossom has inspired MAC’s Boom Boom Bloom collection, and the natural, rosy shades of this eyeshadow palette. Perfect for creating that dreamy, doe-eyed look, the velvety powders come in a range of shimmering and matte finishes that provide superior colour payoff. Better be quick, they’re limited edition. 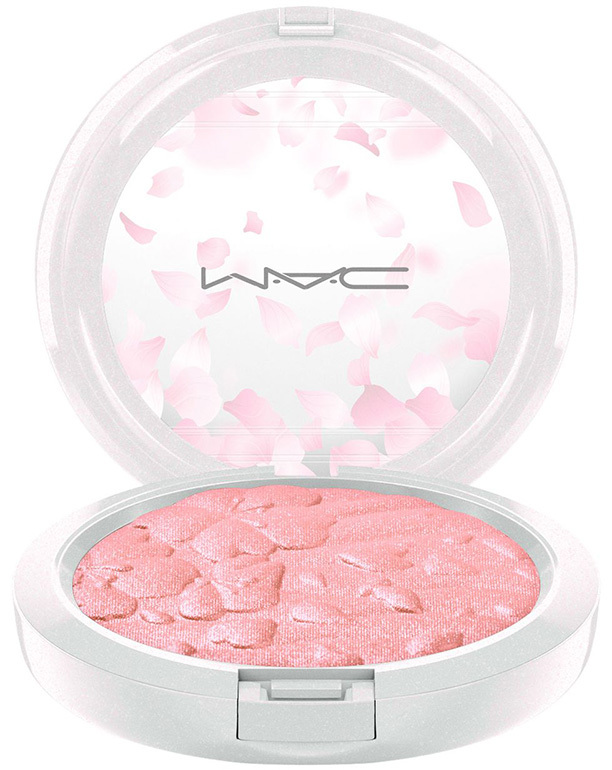 The blush-toned cherry blossom has inspired MAC’s Boom Boom Bloom collection, and the shimmering shade of this highlight powder. 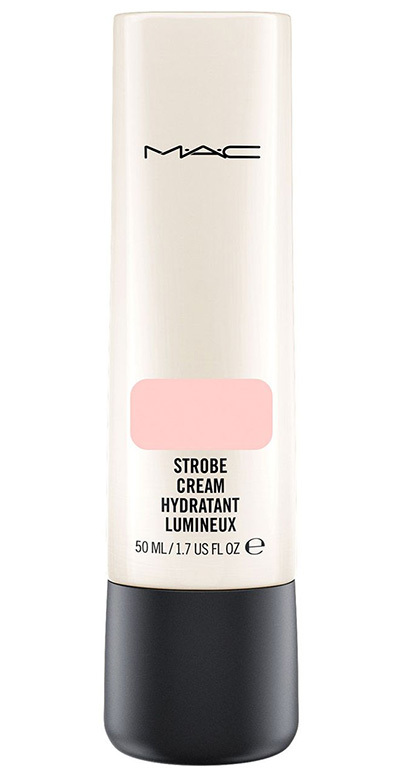 When the sun shines (or even if it doesn’t) you’ll beam with a natural glow, courtesy of this velvety soft formula. Dust your entire face with this multi-dimensional shade for a radiant finish. Better be quick, it’s limited edition. 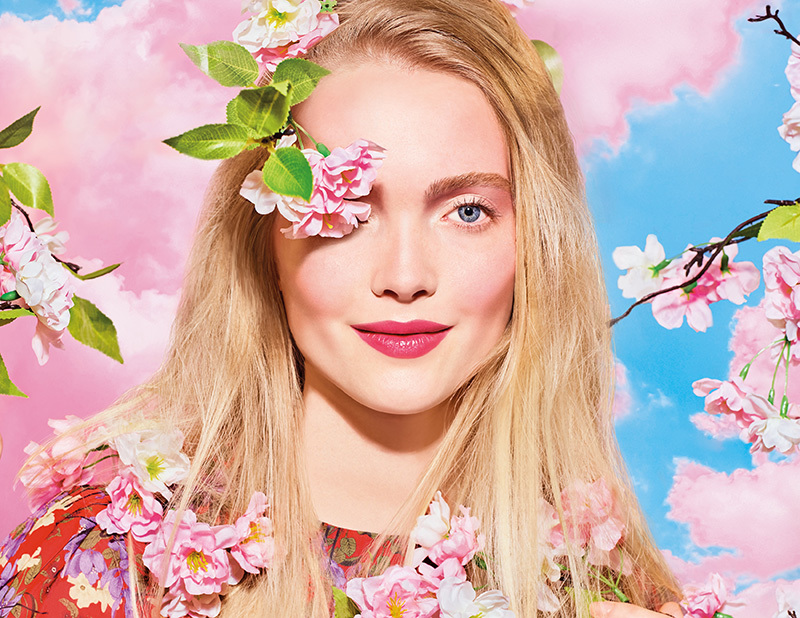 Naturally, it’s inspired MAC’s limited edition Boom Boom Bloom collection, and a bouquet of new soft-focus shades of lipstick. While your lips are toned in a blossomy hue, the moisture-coated powder pigments condition and hydrate with a flawless matte finish. Plus the packaging is showered in petals; what’s not to love? 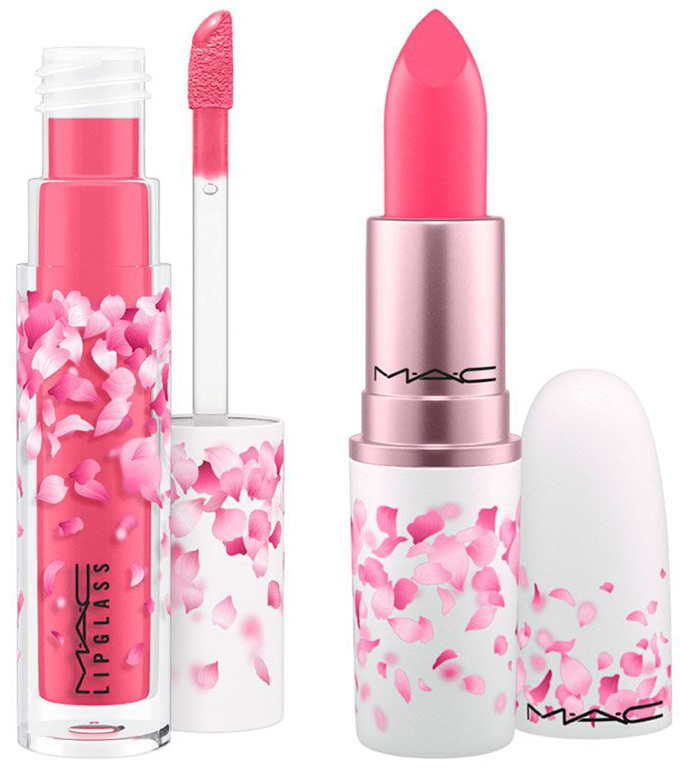 It’s Sakura season over in Japan, and MAC is inspired; enter the Boom Boom Bloom collection. 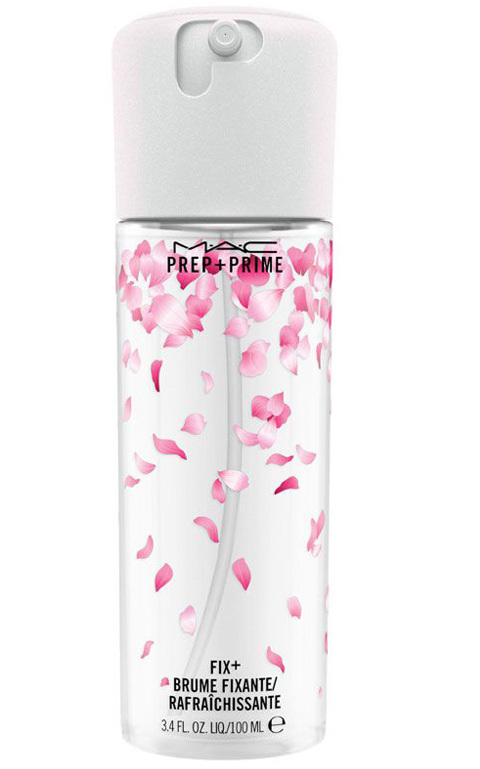 That explains the petals scattered over this Prep + Prime Fix +, and its alluring cherry blossom scent. It’s the same lightweight, rich mist that refreshes the skin, so when you’ve applied your blush-toned shadow, blush and lipstick, it creates a smooth surface and sets make-up once it’s complete. Now you’re ready to face a new spring day. Which of these following beauties are on your list? I don’t think I can’t resist the highlighters and maybe a lipstick or two. 🙂 How about you?